Stocking up on bottled water is expensive and wasteful. Choose a safe, green, and cost-effective solution and consider the reverse osmosis drinking water systems from Evolve®. Whether your family is filling a pot for cooking, rinsing vegetables, or getting a glass to drink, you expect the healthy water they deserve – now you can assure it. The RO drinking water systems from Evolve® are simple, economical, and environmentally friendly. So, get a better drinking water solution and contact your local dealer today! Why not enjoy safe drinking water with a simple and affordable system? UltroWater® units are NSF/ANSI Standard 58 certified, meaning they are guaranteed to reduce impurities such as lead, arsenic, copper, cyst, chromium, and more. They also help improve the smell, taste, and appearance of your drinking water. With easy to change cartridges and an array of faucet designs to chose from, your system will work perfectly for your family and your home! Evolve®'s ClearFlo® RO drinking water system provides the high-quality drinking water your family deserves, delivering up to 100 gallons per day and assuring safe water every time you turn on the faucet. 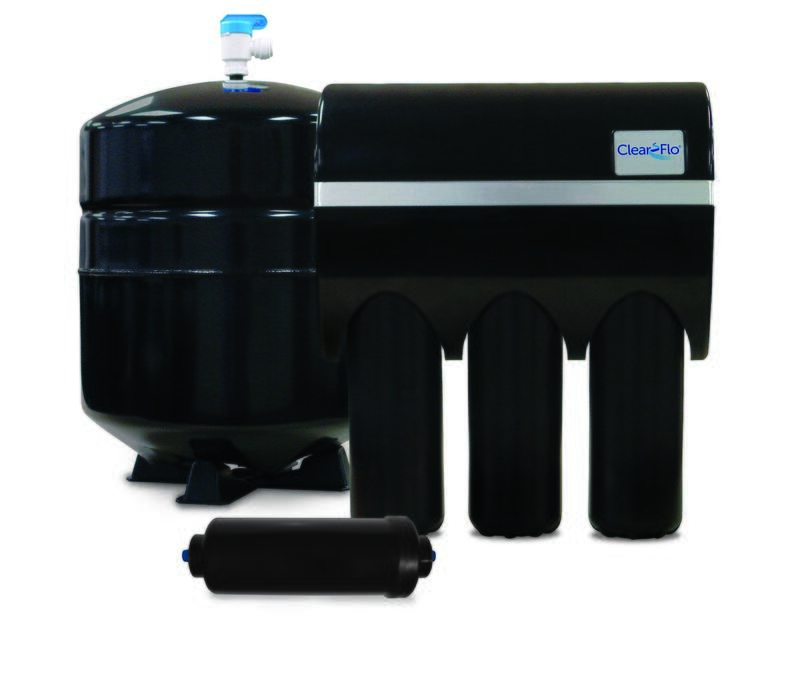 ClearFlo® systems use a multi-stage filtration system to remove impurities like microscopic particles, heavy metals, chlorine, and large suspended particles, meaning only the best water makes it through the filters on your tap! What if your drinking water system could match your style? 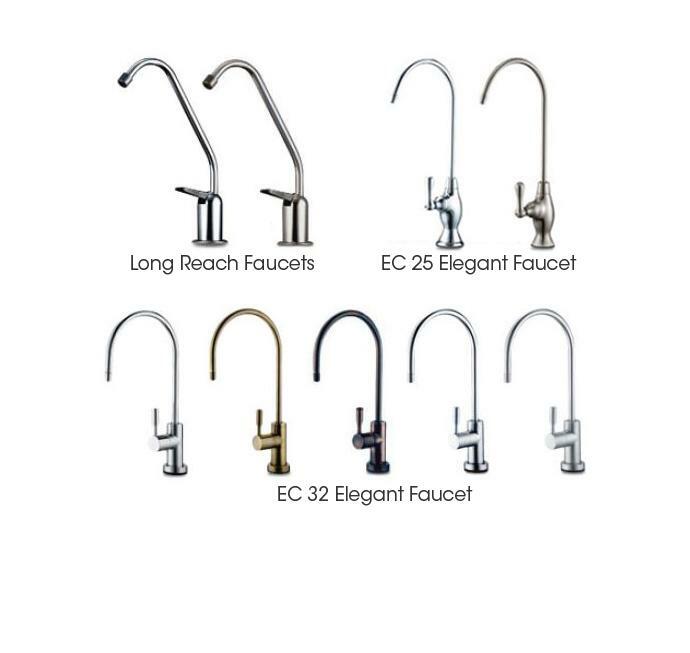 With Evolve®, we offer a complete line of certified lead-free Hydronix® RO faucets that come in an array of finishes, including satin nickel, brushed nickel, chrome plated, antique brass, and antique wine. The manifold system directs water through a sediment carbon pre-filter, ensuring chlorine-free and particle-free water. 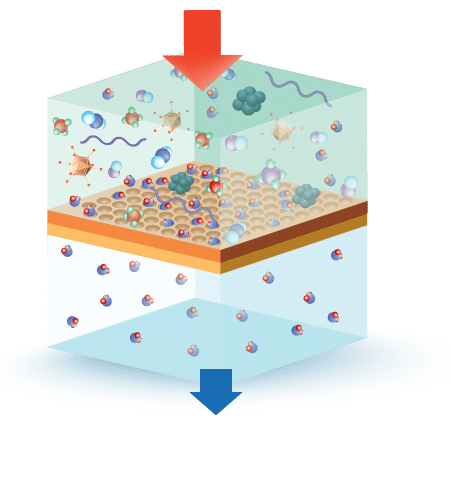 Then, water is directed through the membrane, trapping and isolating contaminants, substantially reducing microscopic impurities. Next, water is channeled through the carbon post filter. Contaminants that slip past the membrane are removed and absorbed. The water is then stored in the pressure tank for on-demand use. To avoid the water picking up tastes and odors from the holding tank, it is run through one last carbon filtration process.